Need a FAST SALE and FAST Debt relief? NO more waiting for your buyer...WE are your buyer and HERE WE ARE!!! So, What are you waiting for! Fill out the form now! Looking for A Buyer for Your Buda House? Before you sign a contract binding yourself to a realtor, find out how beneficial a direct sale can be for you! With a direct sale, you are in control. We make you an offer, and it is completely up to you whether or not you accept. We will then close on your terms, and on the date you choose. You will not have to wait… if you are ready in a week, we can be too! Leave the stresses and costs of listing behind! Call us now for a great offer on your Buda area property! Our process is quick and efficient because we are paying you directly. We are not borrowing from a bank in order to buy your home. This cuts down on your waiting time, which ultimately puts more money in your pocket. Plus, you will never need to worry about the sale falling through because there aren’t any lenders to contend with. We have cash available now, and can pay you quickly and easily! We Help Local Owners With All Sorts of Situations! Are you renting out the home and have found it to be more trouble than it’s worth? Being a landlord to the wrong house can turn into a full-time job. Some properties are in need of continual repair, while others have bad tenants living in them. Maybe poor tenant retention has caused you to see a significant decrease in your assumed ROI? If you are tired of being the debt collector, maid, maintenance man and property manager, give us a call! We will buy your Buda home whether you have tenants or not! We work with many other people who have fallen behind on their payments and are being threatened with foreclosure. 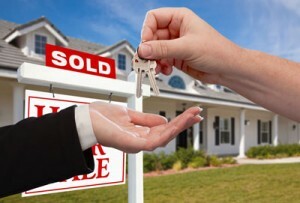 Often times, even if the process has already started, a fast and direct sale can stop the banks from taking your home. It happens to the best of people… familial changes, job loss, an accident. There are many things that can happen to set you behind. We want to help you through these difficult times by paying you a great cash price now. We Can Offer You Many Benefits Listing Can’t! Have you worked with an agent to list on the MLS in the past? If so, you’ll recall that the process typically doesn’t happen overnight. There is stress that comes with open houses and the last minute surprise showings. You have no idea if it will sell, when or for how much. You will need to keep it clean at all times and pay for any repairs to be made. Certain upgrades might be recommended if you are looking to get a higher price. And remember, an agent can list your house at any price, but there is no guarantee that is what you will walk away with! You must also think about the utilities, insurance, taxes and possible mortgage payment you will have to make while you are waiting for it to sell. When you sell directly to Anchored Sunshine, LLC, the process can move quickly. The process can be completely finished in 7 days. Think about all of the time, money and stress that will save you! Can You Get Your House In Buda Back After Foreclosure?